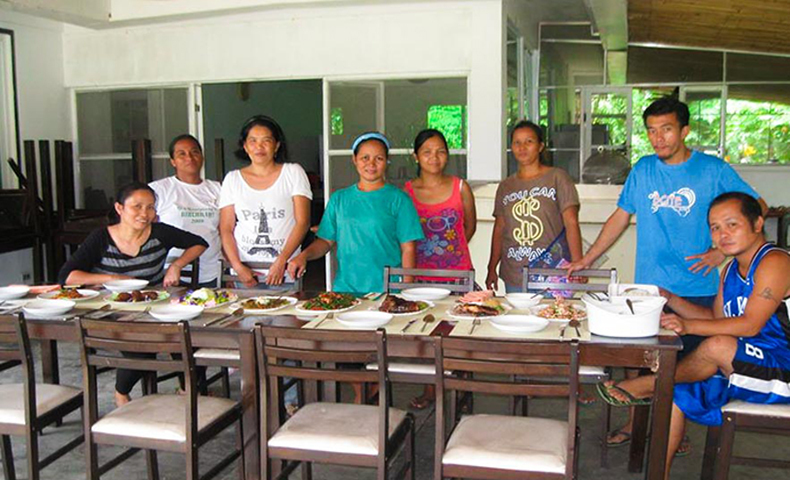 Chef Ming of G Diaries’ Ming’s Corner visited Bantay Kalikasan’s community in Iba, Zambales to provide a culinary training to the staff of Mango Grove at Bancal River. Chef Ming, left most, with the Mango Grove at Bancal River team and the dishes they prepared. 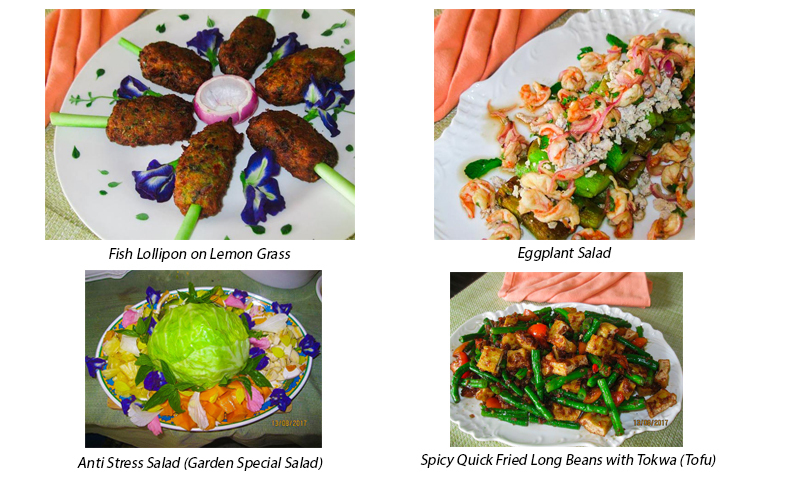 The team learned how to prepare and cook nutritious and delicious yet affordable meals. The dishes are also organic and most of the ingredients are grown and sourced from the community farms in the village. Once you visit the Mango Grove at Bancal River in Iba, Zambales, you’d get to taste these scrumptious meals. Yum! Let us know if you want to do your R&R or Rest and Recreation with us! You and your loved ones can stay in the two-storey guest house that can accommodate up to 22 guests. It has five spacious, air-conditioned rooms which provide moderate luxury comforts for overnight guests. Quiet and serene, the comfortable residence is nestled in secured landscaped gardens. 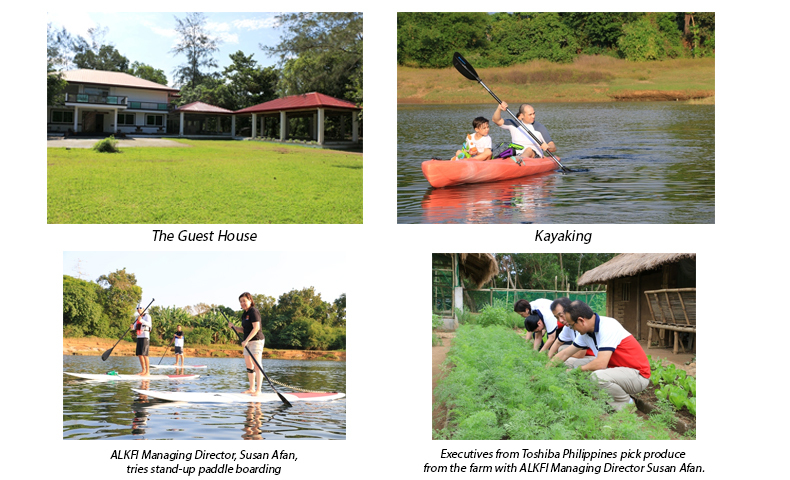 You may also swim on the river, try kayaking, stand up paddle boarding, archery, and picking vegetables and other produce in our 1,000 square-meter organic farm sponsored by Toshiba Philippines. You can also dine while dipping your feet in the river! Aside from these, your stay serves as a donation that helps the community of Bantay Kalikasan in Iba, Zambales, a community once displaced by the eruption of Mount Pinatubo in 1991. Mango Grove at Bancal River is a 24-hectare piece of fertile, verdant land, bound on one side by a 16.5-km pristine river, the Bancal River. Visit www.mangogrovezambales.com or e-mail Pirkko Alcantara at [email protected] for more details.